It’s Hive Inspection Day With Your Mentee! Every student of the beginning beekeeper classes of the East Cupcake Beekeepers Association is assigned a mentor. In order to help the mentors, and also to encourage club members to be mentors, the club put together a little handbook to guide the mentors. It is a short guide but it does help mentors to keep on track, especially with overenthusiastic beginners who seem to have endless questions that can be quite jumbled up. Mentors do need to think back in time when they were beginners without a mentor. Hive inspections sometimes seemed baffling. Let’s take a look at the short guide. The first question to ask your mentee is: Have you opened your two hives and inspected them? The answer is actually going to depend on whether the mentee is just beginning beekeeping with packages or nucs, or has had their colonies for several months, or perhaps a second-year beekeeper, a former mentee, who has called you for help with a possible problem. Although the beginning mentee was strongly encouraged to have the mentor present for hive inspections, some eager students just can’t resist having a look inside. If a club buys package bees the first opening would be to see if the queen has been released from her queen cage. As a mentor you hope that the colony has not been disturbed during the first few days of their life with a new queen and trying to construct comb. If a club were able to supply nucs to the students then the first inspection would be to see if all is well and the nuc colony is expanding into its new home. The second-year beekeeper just felt something did not seem normal compared with the last inspection. Instead of relying on this beekeeper’s description, a visit will be more productive. Before even putting on veils and lighting a smoker the mentor has a good opportunity to listen to the mentee’s description of the hive inspection and when it took place. The ‘why’ of doing that inspection is also important because, as a mentor, you have always told your mentee to ask ‘why am I opening this hive?’ You, as a mentor, have always emphasized the importance of having a plan so that the disturbance to the colony is brief and not disruptive but is informative. A mentor needs to listen carefully to the descriptions given. In this way a mentor can discover both successes (mentee saw eggs and young larvae) and problems (the smoker went out), The successes and problems can then be discussed without standing endlessly over an open hive. Now it is time to put on veils, light the (now) well-packed and lit smoker and go to the first hive. Set the smoker aside for a time and ask the mentee: What do you observe at the entrance? Be sure nobody is standing in front of the entrance. The bees need to fly in and out freely. Caution the mentee to consider climate (bloom time of forage plants), weather (temperature, sun, wind), time of day (mid-morning, late afternoon) since conditions outside the hive influence bee activities. Not every hive has a place for a bee to land and then walk into the entrance. It is easy to make and attach a landing board in order to make observations at the entrance. Those observations can be very useful and also entertaining. Ask the mentee to comment on the overall activity seen. During times of peak forage bloom bee traffic can resemble city rush hour on a workday. If pollen is seen on returning bees has the mentee seen different colors? If so then this observation could lead into a conversation about possible forage plants. Guides to pollen colors and their plants can be found on the internet. However, perhaps the best way to try to make identifications is to collect some pollen in a pollen trap where individual pellets can be observed easily. Since not every returning bee will have full pollen baskets, ask the mentee to guess what these returning bees could be doing. Depending on weather these ‘empty’ bees could be carrying water as well as nectar. See if a bee is returning with pollen baskets full of something shiny. 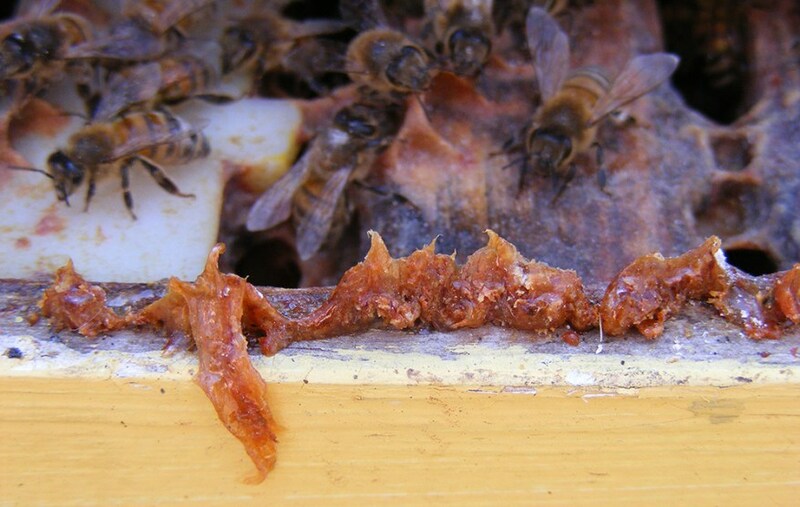 Pollen dies not look shiny but propolis does. Sometimes the guard bees can be seen just waiting inside the entrance and not taking part in the flight activities. Watching guard bees confront and chase off an intruding insect is fun to watch. Undertaker bees might be seen dragging a dead bee out. Some entrance activities, such as returning drones or orientation flights, depend on the time of day. So it is worthwhile, not only for beginning beekeepers but also for all beekeepers, to do some entrance watching at different times of day. In addition have the mentee note any different directions flying bees take when leaving the entrance. Different scout bees have found different sources. Now that entrance observations are finished it is time for the mentor to ask: Let me see you use smoke and open up the hive. Beginning beekeepers either tend to use astonishing quantities of smoke or seem to be afraid to use any at all. A technique useful for working with African bees is actually suitable for all honey bees. All it requires is a bit of patience. Show the mentee how to apply several good puffs into the entrance and just under the telescoping cover. Then wait a minute – a real minute or up to two. That time allows the colony bees to fill up on honey and become less interested in disturbance. True, some stocks of bees seem to be quiet and gentle needing little smoke, but even these can get up on the wrong side of the hive and have a grumpy day. In some areas of the country hives can be disturbed by animals, such as skunks. Since the skunk visits at night beekeepers might not be aware that a skunk has become a nightly pest. A normally quiet, calm colony becomes overly defensive and does not respond to the usual amounts of smoke. Both mentor and mentee need to search for reasons the calm colony turned defensive and remained so for several days. Beginning beekeepers sometimes seem to apply smoke for no particular reason. Keep encouraging the mentee to observe the bees’ behavior. If they seem to be working quietly perhaps no smoke is needed at the moment. However, if they are flying up out of the hive or running around aimlessly then some smoke may be needed. Sometimes bees will line up between the frames and seem to be watching the beekeeper. A bit of smoke would be useful at this time. Sometimes a frame or a hive tool gets dropped onto the open hive. Reassure the mentee that such accidents happen to all beekeepers. Help the mentee recognize various behaviors and watch the results of puffs of smoke. Another question needs to be asked when the hive is opened: What does the sound of the colony tell you? Beekeepers can learn the many sounds a colony can make. Help the mentee recognize the quiet hum of an undisturbed colony hard at work. Alert the mentee to the change of sounds when the colony is accidently bumped or after trying to remove a stuck frame. Encourage the mentee to use the change of sounds to determine whether the colony is becoming calm again or remains disturbed and should be left alone to be inspected on another day. One very characteristic sound is that of a queenless colony. It just seems to sound unhappy, worried, and definitely not normal. As a mentor you might have to wait quite a while to have a queenless colony, either yours or the mentee’s or in someone’s beeyard. It is a very useful sound to recognize. Now for a return to the reason for the mentor’s visit to the mentee’s beeyard. Why are you opening this hive? The answer depends on many factors and may well lead to a repeat of some or all questions given above. The previous inspection may have been reassuring that all was well. The colony may be working hard with its many projects (caring for queen, preparing food stores). Or it could have shown a possible problem that needs further investigation. So the reason for an inspection, whether for overall colony health or amount of stored food, will depend on many factors. The why also depends on where the mentee lives. Today beekeepers are found in cities, in backyards or on rooftops. 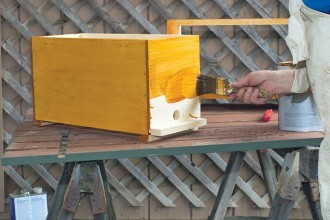 Supplies of pollen and nectar could be variable throughout the beekeeping season. Does the city have parks planted with bee-useful flowers? Are the numbers of city beekeepers increasing, possibly too many for the available forage? Suburban beekeepers are living in a world of lush green lawns without a clover or dandelion to be seen. Backyard vegetable gardens may be in the care of someone whose favorite tools are spray cans of pesticides. Neighbors may have swimming pools. Not all the neighbors like bees. Rural beekeepers must know the farmers and crops within the bee forage area to know what pest controls are being used and when. The mentor can encourage the mentee to consider the climate –hot, dry desert of New Mexico, the long cold Winter of Minnesota, the wet, cool coastal climate of the northwest or the temperate climate of the Mid-Atlantic states. In this way the mentee can understand available forage and time of bloom. Not only climate but also weather will influence the why of hive inspection. Drought reduces plant growth and flowering leading to a dearth of nectar and pollen. The mentor will encourage the mentee to see, inside the hive, the effects of climate and weather. The why also depends on the calendar. The Varroa mite and its viruses have caused beekeepers to monitor the population of mites with sugar or alcohol shakes to determine treatments. A mentee may need help with the first shake – scooping up bees into a container and looking for the dislodged Varroa. A hive inspection will be needed when swarm season is approaching. The mentee also needs to know when preparations for Winter need to be finished. A series of successful mentor visits are valuable for both the mentor and mentee. No matter how many years a mentor has been keeping bees, they can always teach you something. That is a question frequently asked of mentors by beginning beekeepers. Many mentors attend meetings given by state beekeeper associations and by the larger regional ones, such as Eastern Apicultural Society (EAS), Heartland Apicultural Society (HAS) and Western Apicultural Society (WAS). These regional meetings also feature mentors giving workshops on mentoring. Also mentors will be giving other presentations. These larger meetings offer an assortment of learning experiences. Some of the speakers will be scientists bringing in new information on their research. Other speakers will come from those in Extension, pollination, as well as professors and individuals in related fields such as agriculture. Workshops on a wide range of topics are held. Open hive instruction is always well attended. There is always time in the program for beekeepers to relax, share swarm stories and enjoy a meal together. This year the Eastern Apicultural Society (EAS) will meet at the University of Delaware in Newark, DE, just a few minutes off I-95. Dr. Deb Delaney is the apiculture professor there today, following the retirement of Dr. Dewey Caron. The Short Course, with class lectures from beginner to advanced beekeeping begins on July 31, 2017. The Short Course is followed by the conference itself from August 2 through 4. The famous EAS Master Beekeeper exams, four total, will be given during the week. 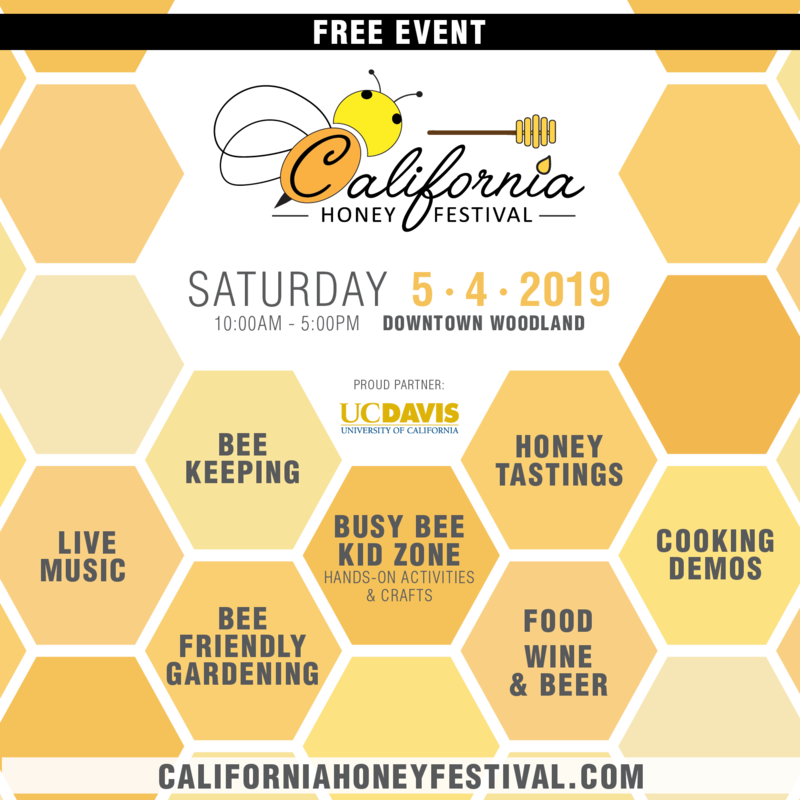 The conference will feature award-winning scientists like Tom Seeley and Clarence Collison, apiary inspectors, practiced beekeepers like Michael Palmer and Jennifer Berry along with experts on queens, making mead, honey bee pests and more. Families and children are welcome and the youngsters can participate in activities, including a Kidz Bee Academy just for them. The apiary is ready for open hive instruction. Bring your best honey for the Honey Show and a jar or two for the Honey Exchange. Keep in touch with the Eastern Apicultural Society www.easternapiculture.org, and also on Facebook in the following months to make your plans for attending. 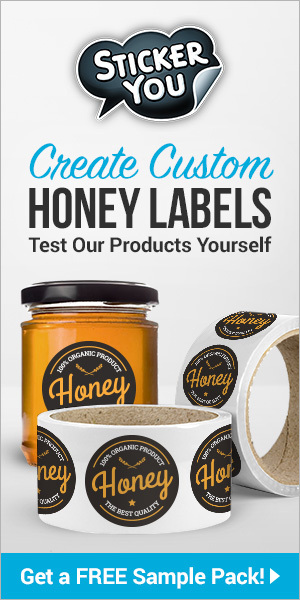 Your beekeeping skills and your mentoring skills will be enhanced. 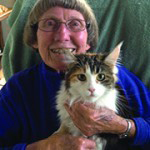 Ann Harman teaches new beekeepers from her home in Flint Hill, Virginia and all over the world.